Getting Genetics Done: PubMed Commons: One post-publication peer review forum to rule them all? PubMed Commons: One post-publication peer review forum to rule them all? Several post-publication peer review forums already exist, such as Faculty of 1000 or PubPeer, that facilitate discussion of papers after they have already been published. F1000 only allows a small number of "faculty" to comment on articles, and access to read commentary requires a paid subscription. PubPeer and similar startup services lack a critical mass of participants to make such a community truly useful. And while the Twitter-/blogosphere space is great for discussing scientific research, commentary is fragmented, scattered across many blogs, Google+, and Twitter feeds (not to mention, discussion content is owned by Twitter, Google, and other dot-com services with no guarantee of permanence). PubMed Commons is a system that enables researchers to share their opinions about scientific publications. 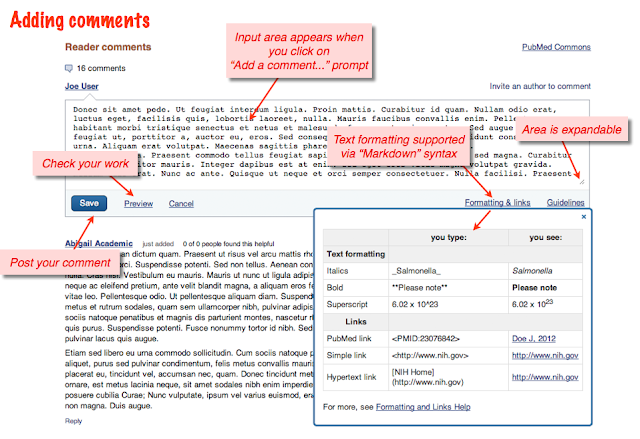 Researchers can comment on any publication indexed by PubMed, and read the comments of others. PubMed Commons is a forum for open and constructive criticism and discussion of scientific issues. It will thrive with high quality interchange from the scientific community. 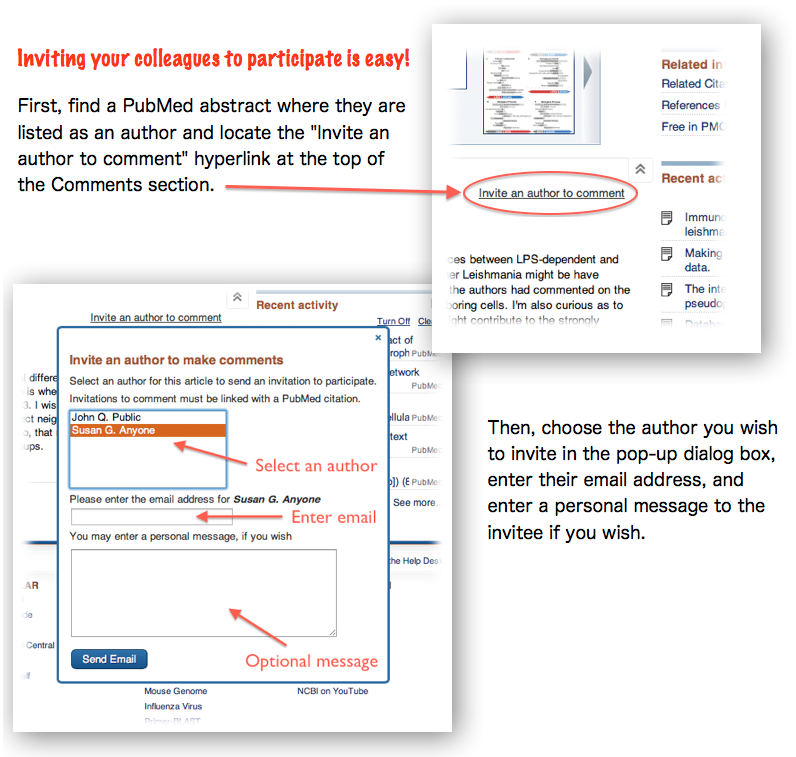 PubMed Commons is currently in a closed pilot testing phase, which means that only invited participants can add and view comments in PubMed. 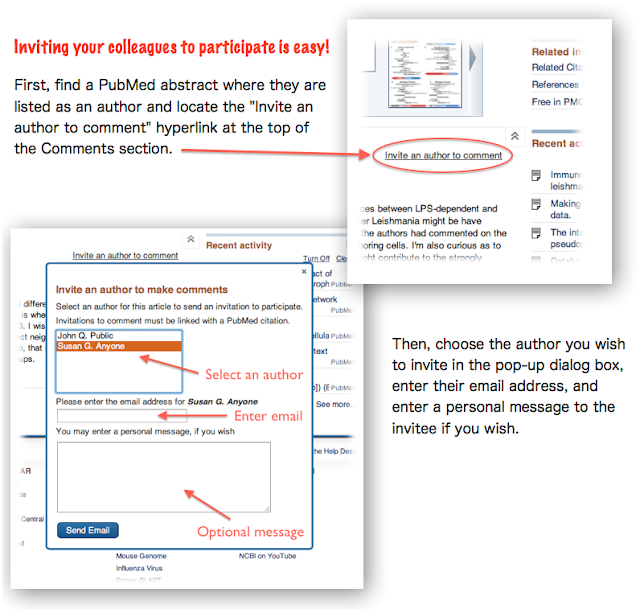 PubMed Commons is currently in an invitation-only pilot phase. But if this catches on, it could easily become the post-publication peer review forum that solves many of the problems mentioned above. PubMed commons would be open to anyone that registers with a MyNCBI ID, meaning discussion would not be limited to a select "faculty" of few. Discussion would be collated and hosted by NCBI/NLM, which I like to think has a longer half-life than Google's latest foray into social networking or other dot-com ventures. Most importantly, PubMed use is ubiquitous. Whether you use PubMed's search directly or you land on a PubMed abstract from Google Scholar, you'll almost always link out to a paper from a PubMed abstract. This means that the momentum and critical mass to make a forum like this actually useful already exists. Right now PubMed Commons is invitation-only, but I'm optimistic about the public launch and hope to see this catch on.